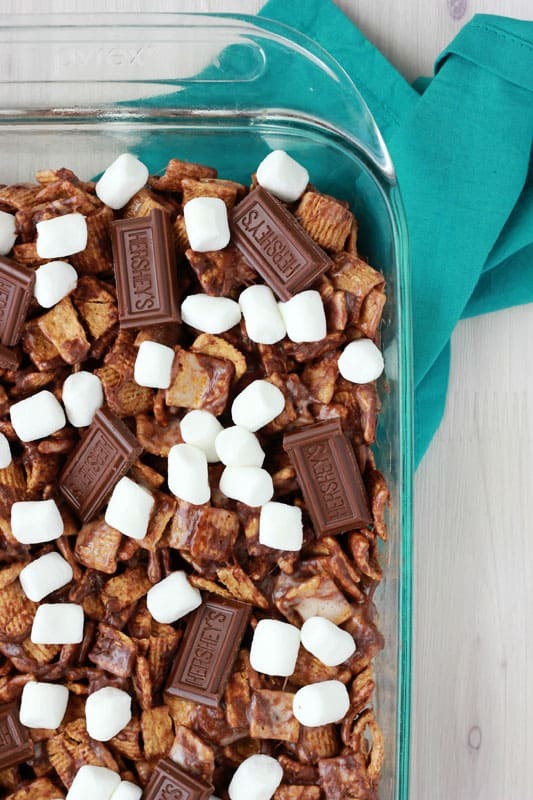 All the elements of summer’s favorite flavor piled into one bowl! 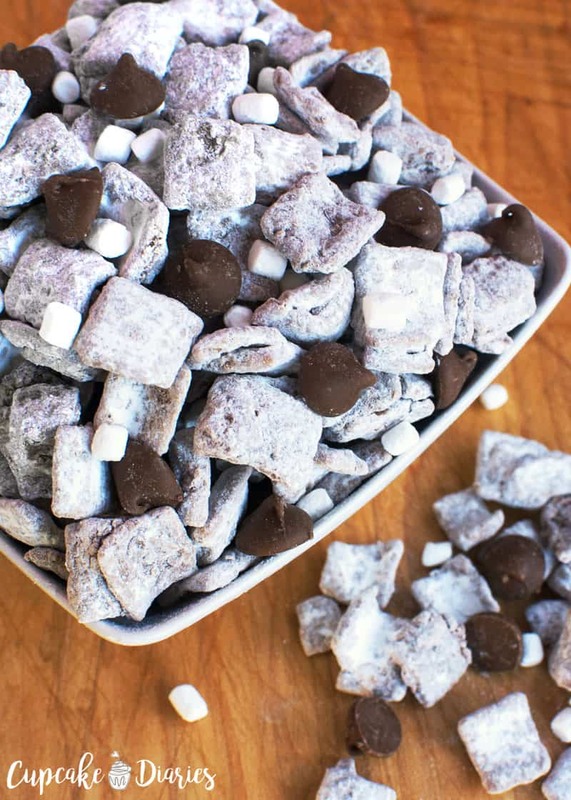 S’mores Muddy Buddies taste just like a gooey s’more in snack form. 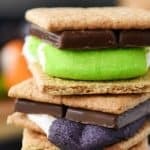 Happy National S’mores Day! 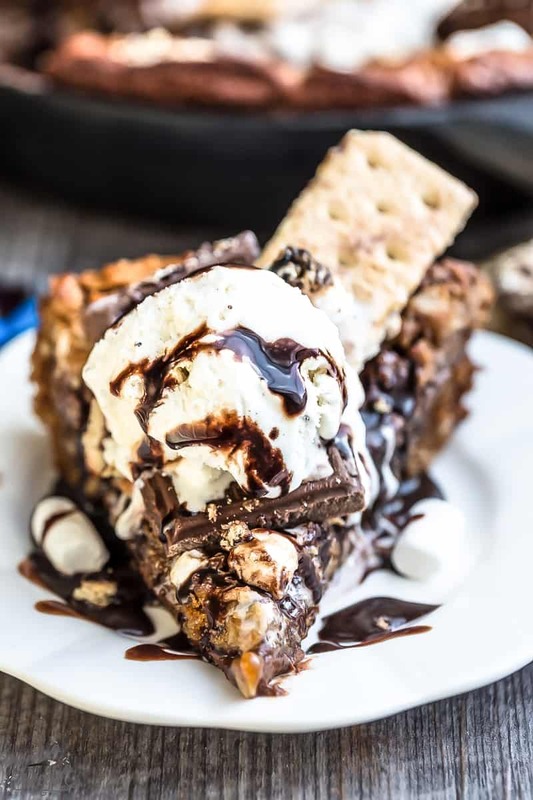 I can’t even explain how much I love desserts inspired by s’mores. 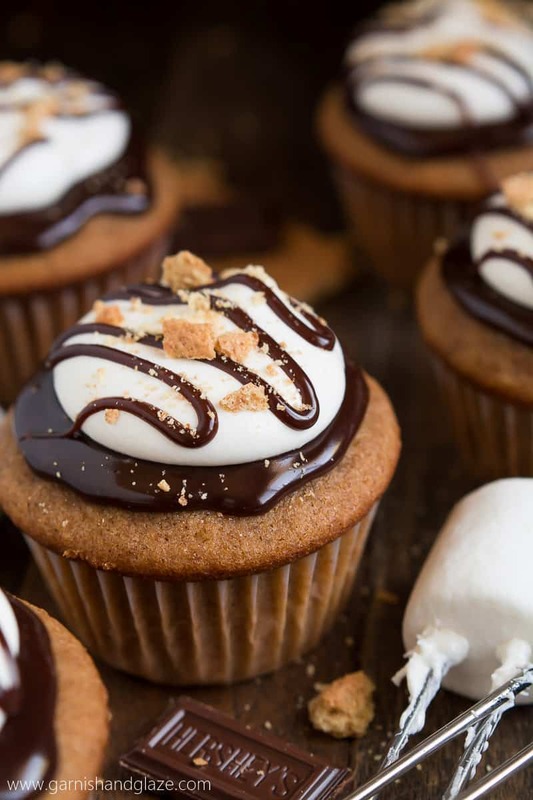 Indoor S’mores, S’more Bars, and S’more Whoopie Pies are some of my very favorites. 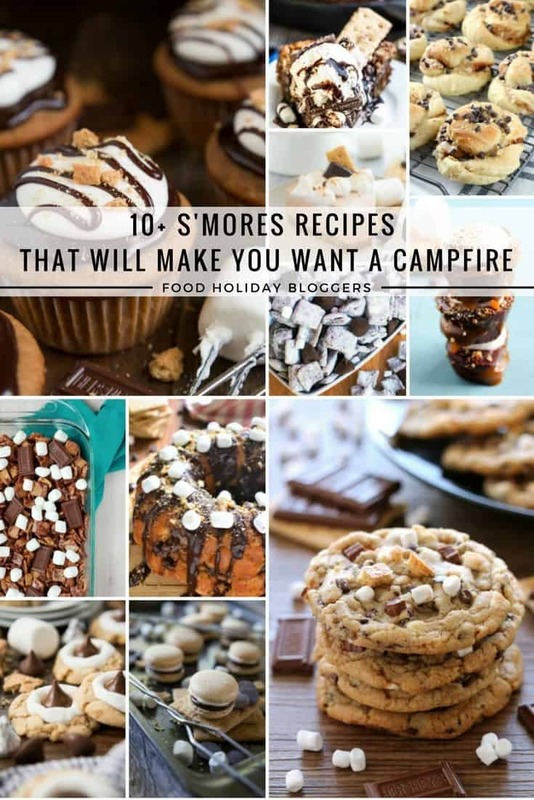 (You can find all my s’mores-inspired recipes here!) 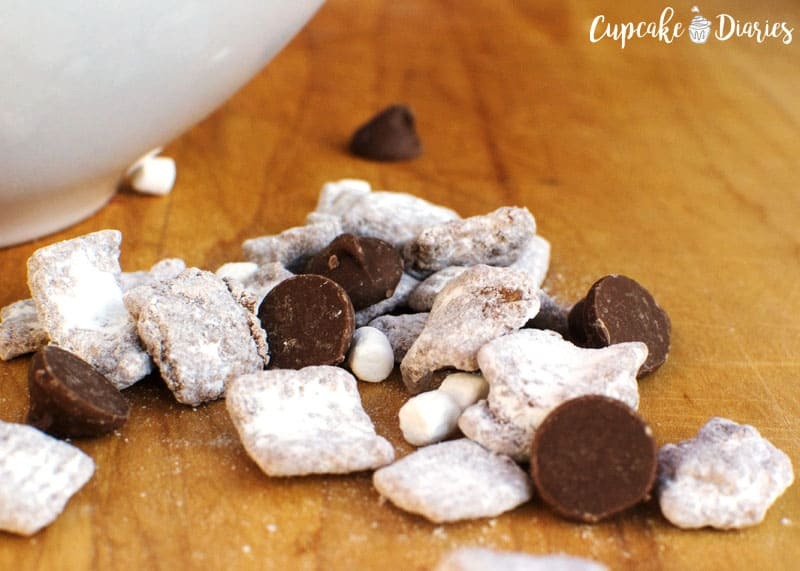 When I made a batch of these S’mores Muddy Buddies for the first time my husband reacted to the goodness in a way that I’ve never seen before. It’s safe to say that this is his favorite treat I’ve ever made. 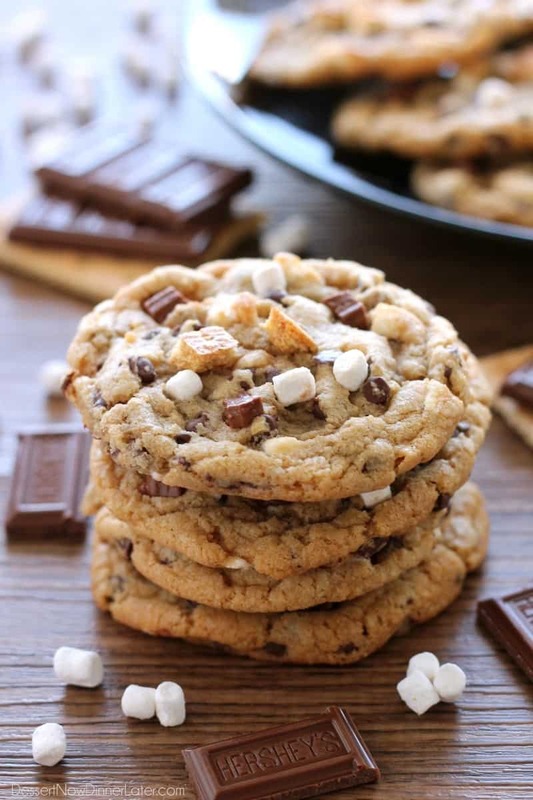 I love this s’mores treat because it tastes so differently than the traditional Chex muddy buddies. I couldn’t stop eating it! 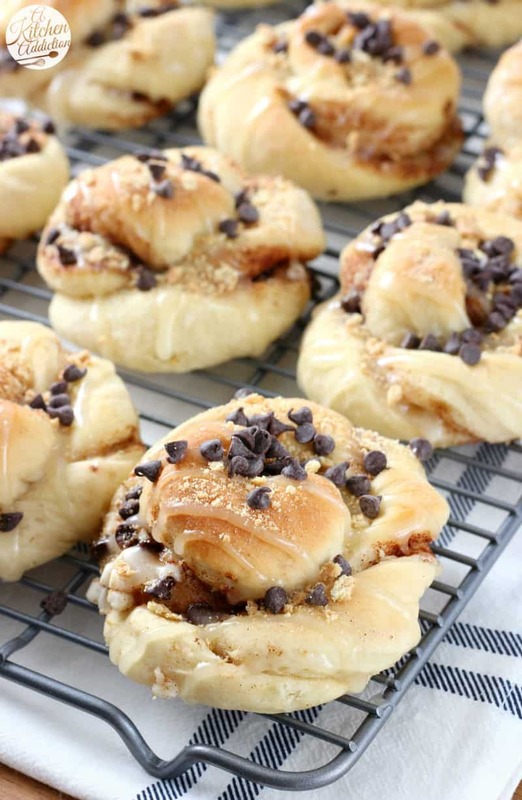 This is a good recipe to make for a family reunion or pretty much any time. All the elements of summer's favorite flavor piled into one bowl! 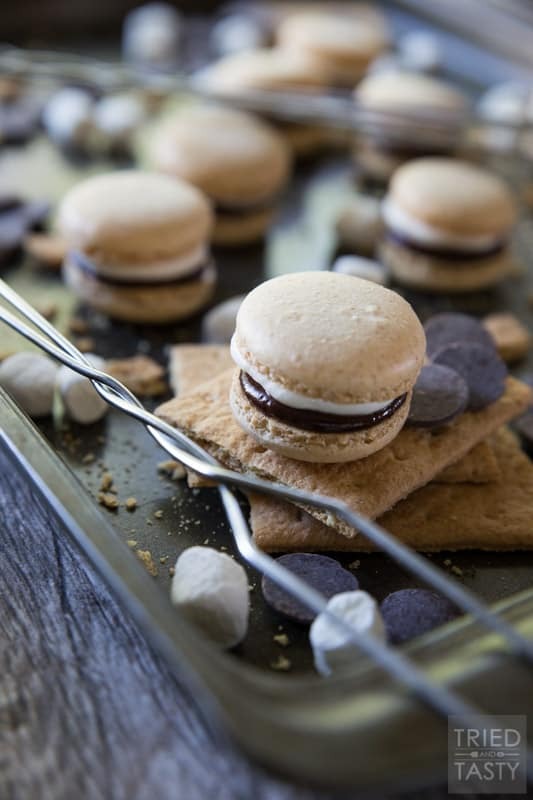 S'mores Muddy Buddies taste just like a gooey s'more in snack form. In a microwavable bowl, add 1 1/2 c. chocolate chips, marshmallow fluff, and butter. Microwave uncovered for 1 minute; stir. Microwave about 30 seconds longer or until mixture can be stirred smooth. 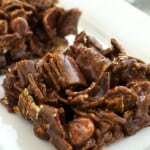 Stir in vanilla then pour mixture over cereal, stirring until evenly coated. 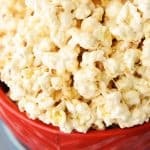 Pour into a 2-gallon resealable ziploc bag, or separate into two 1-gallon bags. Add powdered sugar. Seal bag(s) and shake until cereal is well coated. 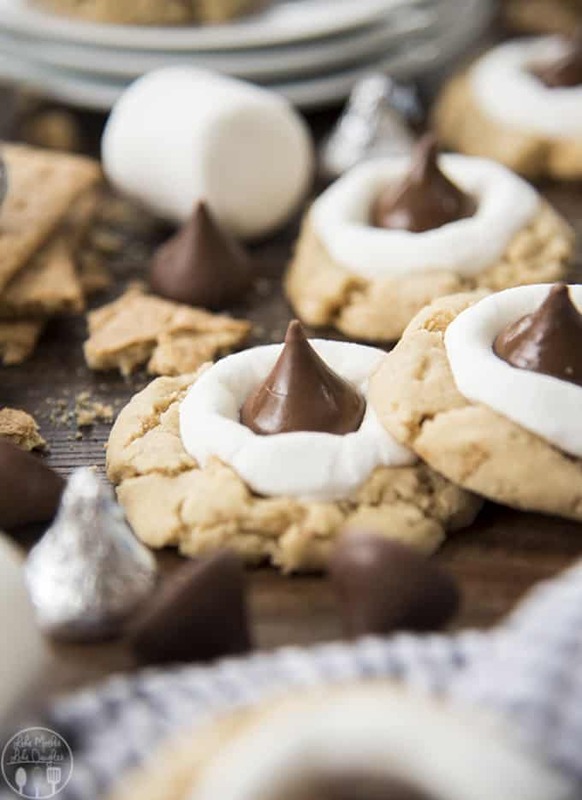 Spread on waxed paper and sprinkle with remaining chocolate chips and mallow bits. Cool then store in airtight container. 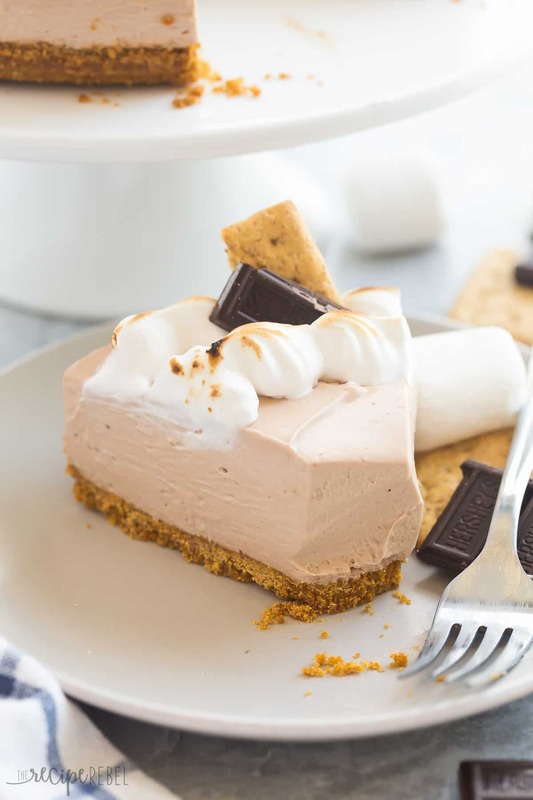 Don’t miss these other s’mores-inspired recipe from some of my favorite bloggers! 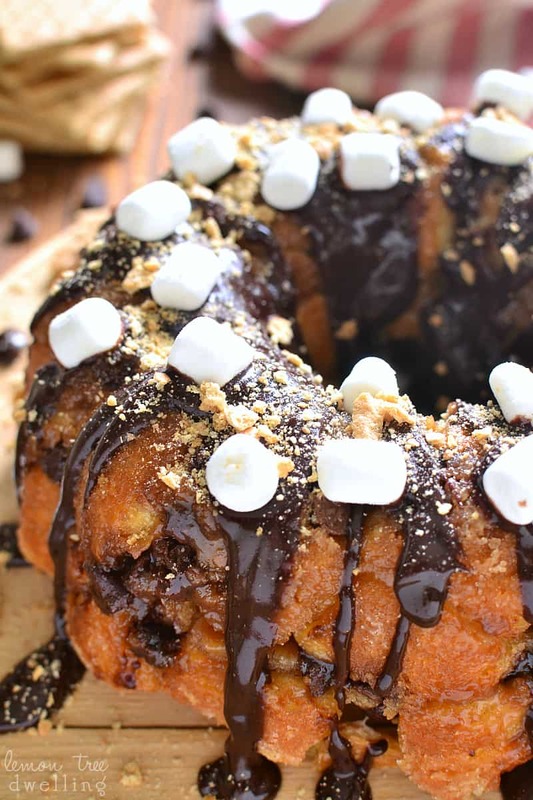 I love that you added marshmallow fluff right into the chocolate mixture. 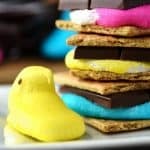 These seem so snackable I can’t wait to get my hands on them! 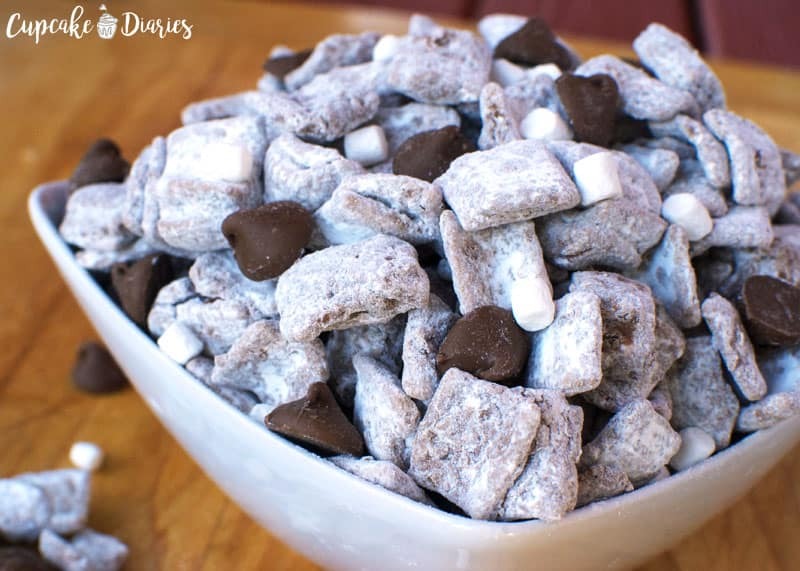 And here I thought muddy buddies couldn’t get any better! 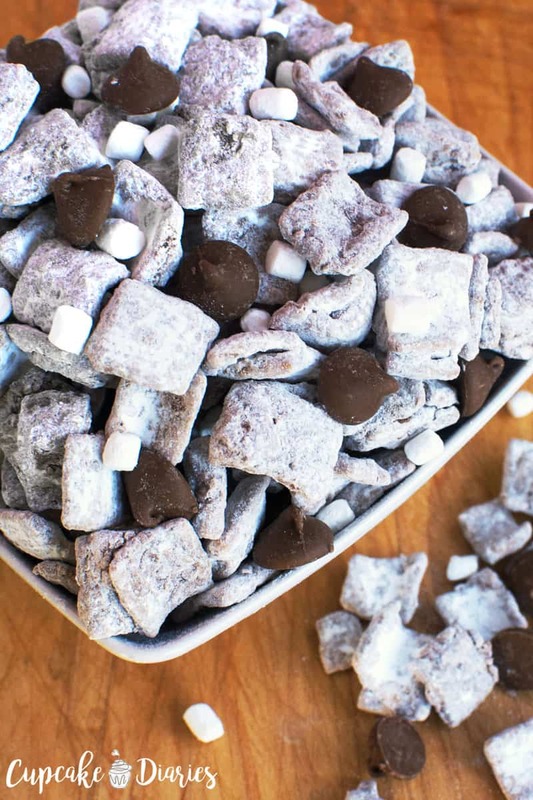 These muddy buddies would disappear in no time at our house! 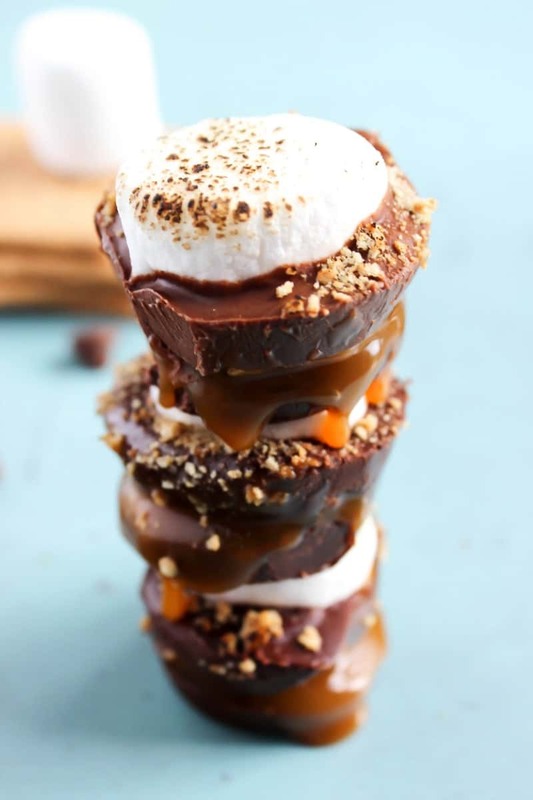 I think I’d prefer these over real s’mores any day! And they are easy to take camping!